Finally a UV inkjet system that fits perfectly on your Press, Rewinder or Cutsheet vacuum Transport & can now be made PORTABLE! 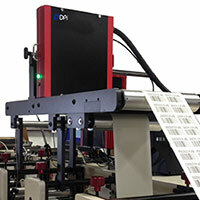 Our latest UV Drop-on-Demand (DOD) technology has proven performance, ease of operation, flexible resolutions, and is expandable for future requirements! No Surprises ………Expertise in WEB Applications for over 30 years! Our drop-on-demand (DOD) products use Kyocera print head technology with UV-curable or water based ink. 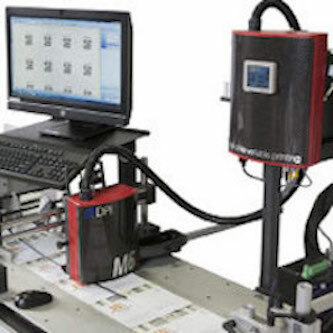 Our UV ink is ideal for printing on difficult substrates like films, foils, plastics, coated stocks and other synthetics. Here we go…Preferred Variable System for 100’s of Web Press Applications – Worldwide! At DPI we create a strategic bond between you and your customer through our latest innovations with variable data technology and our QPress layout software that will create a revenue stream for years to come!